Introducing harmful substances into the atmosphere is termed as air pollution, which is one of the biggest concerns affecting human health and the quality of life at a large scale. Massive industrial development in the fast-progressing modern world is one of the major causes of air pollution, which is increasing day by day. The polluted air spreads throughout the environment and affects the lives of people all over the world. 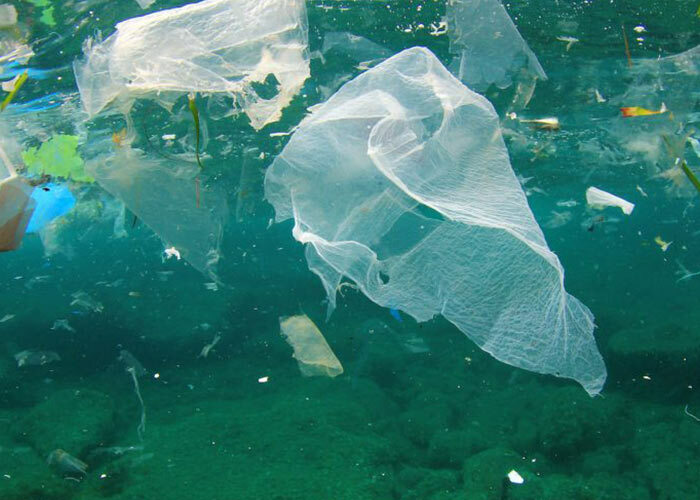 Pollution continuously spreads destruction in the entire ecosystem and apart from human beings; it is affecting the life of trees and animals as well. It is affecting the environment by allowing harmful hot radiations of the sun to spread on Earth, as the polluted air prevents heat from going back into space. Air pollution is contributing towards raising the mortality rate by spreading deadly diseases such as various lung disorders and even lung cancer. Toxic micro particles spread in the air enter the body through respiration, posing the risk of serious illnesses such as cancer, Parkinson’s disease, heart attack, shortness of breath, cough, eye irritation, and allergies. Micro particle matter i.e. Particulate Matter (PM) inhaled through the respiratory tract travels into the heart, lungs, and brain cells and afflict them with diseases. Air pollution is a big threat to the healthy life of living beings on the earth due to its various adverse effects, such as global warming and climate change which impacts human health badly. Air pollution spreads in the environment through the leak of smoke, dust particles, particulate matter, etc which concentrate quickly and then affect the health of the people in the form of various diseases. People spread a lot of dirty garbage on a daily basis, especially in big cities which also contributes to polluting the city’s environment. Smoke and polluted gases emanating from industries, vehicles, burning waste etc contribute to air pollution. Other than polluting gases, some natural pollutants like pollen-particles, dust, soil particles, etc are also the source of air pollution. Research has shown that if the concentration of dust particles decreases by 10 micrograms in the air, the life time of individual increases by 0.77 percent per annum while the overall life expectancy increases by up to 15 percent. There is a direct link of diseases such as heart and brain attack with air pollution. Exposure to excessive pollution in which there is high amount of PM2.5, increases the risk of various ailments. Among the biggest causes of air pollution are the gases like carbon monoxide and nitrogen. Also, fine particles of smoke coming out of cars, buses and trucks are among the major causes of diseases. These gases and particles move to the blood through the lungs of the man and become a threat to health. According to recent research, exposure to pollution particles plays havoc with human health. Air pollution is also associated with diseases of respiratory system, and brain, apart from heart attack. Due to air pollution, the temperature of Earth increases, because the effect of carbon dioxide, methane and nitrous oxide in the environment increases due to the heat coming from the sun, causing more harm to health. Due to the sudden increase in temperature, the number of diseases like diarrhoea, stomach ache, vomiting, headache, fever and body pain is also increasing. Increase in heat causes problems of skin scalding and itching. Due to the increase in the amount of dust and soil in the polluted air in most people, many types of skin diseases start to occur. Pollution has a profound effect on our health as it aggravates asthma, and chronic obstructive pulmonary disease (COPD), which includes diseases such as chronic bronchitis and emphysema. Air pollution has a very bad effect on the human body. Allergens or chemical elements present in the air produce various diseases. The most common examples of diseases caused by polluted air are respiratory diseases such as asthma, bronchitis, skin diseases, COPD, burn in the eye, etc. Air pollution has been found to be leading cause of lung diseases, especially in children. Apart from this, many kinds of allergies are disturbing people. Pollution elements increase in the summer season. 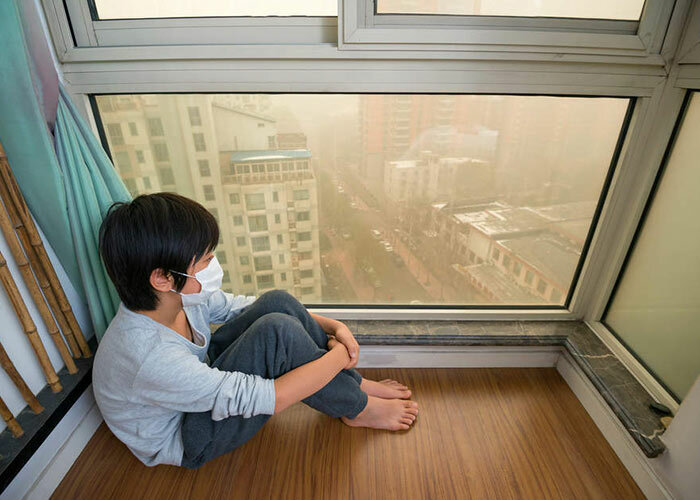 The higher amount of Respirable Suspended Particulate Matter (RSPM) in the air can be dangerous for health because it causes many respiratory diseases. Air pollution increases the risk of lung cancer. Already it has been identified that there is a direct connection in polluted air and lung diseases such as asthma. Rapidly increasing pollution tends to result into the outbreak of lung cancer as well. Recent studies have highlighted that there is a deep relation between air pollution and lung cancer and various cardiovascular diseases. Although smoking is known to be one of the biggest causes of lung cancer, a large number of people have become victims of cancer due to the pollution present in their immediate environment. Among the major reasons for the rapid increase in lung cancer, tumour and tuberculosis outbreaks in our country are smoking and air pollution. People who live in congested and small houses where there is no access to sunshine and air, or go to work at a place where the environment is filled with fine particles of smoke, dust, cotton fibres or various metals, are extremely prone to the risk of lung cancer. 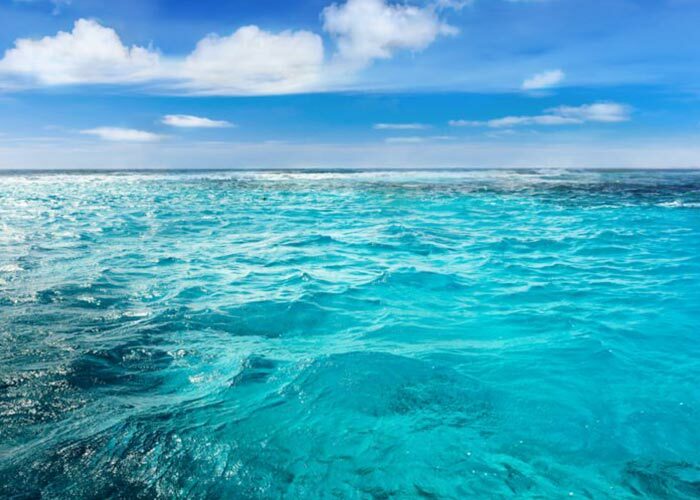 The chlorofluorocarbon gas released from the refrigerator is harming the ozone surface in the environment, which is increasing the risk of skin cancer (melanoma). Prolonged exposure to carbon monoxide, nitrogen dioxide and sulphur dioxide increases the risk of heart attack. This risk can affect the population from 0.6 to 4.5 percent. Cough, pain in chest, noise coming while breathing, breathlessness, and pain of throat can also be the symptoms of breathing in contaminated air in the atmosphere. Those with weak heart have proven vulnerability for air pollution. Cardiovascular disease is caused by weakening of cardiac muscles and inability to transmit blood in the body. Breathing in contaminated air for a long time increases the risk of people suffering from heart disease. As the heat grows, air pollution is also increased in the city. Air pollution has also found to be associated with increased incidence of coronary stroke. Air pollution can also affect the brain functioning of the people living in mega cities. Researchers have brought this fact to light that there is always a possibility that people living in bigger cities or metros have nanoparticles in their brain due to air pollution. Air pollution can cause brain damage in such a way that today it has emerged as the new risk to health. Earlier, air pollution was held to be responsible for heart and respiratory diseases only, but according to a new research, air pollution in bigger and congested cities injects millions of particles of air pollutants in our brain. Millions of magnetic pulp particles have been found in one million brain tissues in some people after examination. These particles can cause long-term damage to our brain. Most of the magnetite, the compound of magnetic iron oxide, found in human brain is produced mainly due to polluted air coming out of industries in high quantity. When the patients suffering from Alzheimer’s disease were examined, the doctors found that those patients have high concentration of magnetite in their brains. Obviously, this research has exposed the new environmental risks associated with brain diseases. A large part of the pollution particles reaches the body through respiration and pass down the trachea, through the two tubes called bronchi, each of which is attached to lungs. Even if a small part of it reaches the mind, it can adversely affect the nervous system. The magnetic pollutant particles could stop the sounds and signals reaching the brain, which could also lead to Alzheimer’s disease. Because of air pollution, the people already had problems like asthma and difficulty in breathing, etc. Now according to a recent research, it has also become the cause of kidney diseases. 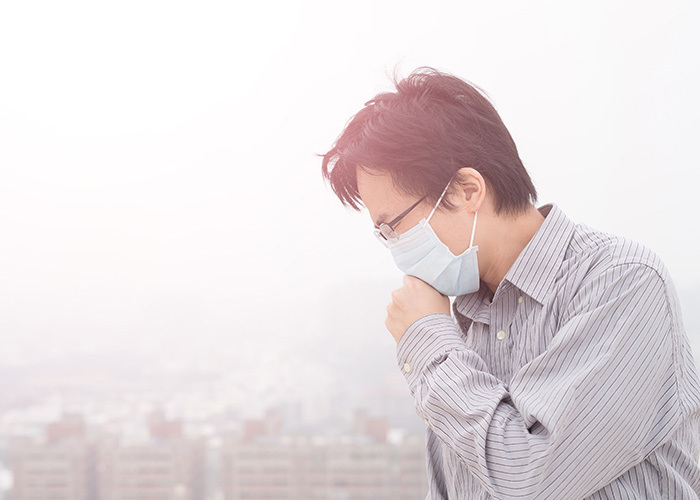 It has been revealed that air pollution increases the probability of developing membranous nephropathy (a kidney disease that can occur by itself or in conjunction with several other diseases), which is a major cause of kidney failure. The time between pregnancy and childbirth is considered to be the most important for any woman. There is always a threat to the health of a baby before and after the birth. If the pregnant women spend their life in polluted air, there always remains a threat of various diseases like brain deformity, asthma and improper growth of the brain to their unborn child, according to gynaecologists and child specialists of major hospitals. If a pregnant woman breathes in polluted air continuously, the unborn child can even die. Doctors have even noticed that the children of such women also end to develop pneumonia and weak resistance to diseases. India is among those countries in the world where the air pollution is at the highest level. The World Health Organization (WHO) lists India as one of the countries with the highest concentration of air pollution. According to the WHO statistics, 13 out of the world’s 20 polluted cities are in India. The organisation’s report finds a deep connection of air pollution to heart disease, respiratory diseases and cancer. Economists of Chicago-Howard and Yale universities have also said that air pollution in India is much higher than the normal standards. Due to air pollution in Delhi, 4 out of 10 children have problems with lungs, with increasing problem of chronic asthma in children older than 2 years. Bronchitis has also increased in children younger than 15 years of age in Delhi. The poisonous air is making people sick. Over 30 lakh people worldwide die from air pollution every year. Most deaths occur in Asia. According to Professor Johannes Lelieveld, director of the Max Planck Institute for Chemistry in Germany, the very small particles of dust can go into blood; as they are also toxic to some extent, poisonous substances go into the lungs leading to disastrous effects. Due to the high concentration of population in various towns as well as metropolitan cities, air pollution has become the biggest threat to human life. It is, therefore, very necessary to raise awareness about the dangers of air pollution and take proper steps to breathe in healthy air. Patients, children and the elderly people with lifestyle-related diseases come in the high risk category of pollution. These people should not stay long in highly polluted environments and should wear masks and avoid excessive exhaustive outdoor activities. In any case, whenever they get out of the house, their face and head should be covered. Sunglasses should also be used to protect eyes from sunlight. Reducing air pollution in the world is the duty of every citizen living on the planet Earth.